It takes experience and love to hone the craft of winemaking. Nicki Pruss has developed her skills for over twenty years, including 12 harvests at the helm of Stag’s Leap Wine Cellars production. Nicki was responsible for creating some of the Napa Valley’s most iconic Cabernets with her love of the craft, constant learning and focus on bringing out the best of the grape. Chris has been making wine for over 15 years. Nicki and Chris Demetre, together have created as a labor of love — a small batch, Cabernet Sauvignon called Nicolette Christopher. The color is deep ruby. 2013 Nicolette Christopher opens with enticing notes of warm cassis, dark berries, plum, rosewater, vanilla and baking spices in the aroma. On the palate, the wine continues to build on the aromas with plums, red cherry, violets, graphite, and caramel. The freshness of the acidity, density of fruit and silky texture are a refined expression of Napa Valley Cabernet Sauvignon. Three tons of Cabernet Sauvignon was crushed on September 16, 2013. The wine is composed of Clone 337 grown in the beautiful Grigsby Vineyard on Yountville Cross Road. The vines were beautifully farmed, properly cropped, and balanced. Grigsby Vineyard is certified organic. The wine was produced in small open topped fermentors and underwent malolactic fermentation in the barrels to enhance mouthfeel. It was aged 22 months in French oak barrels, one third of which were new. Bottling occurred on July 29, 2015. Only 179 cases were produced. The color is deep garnet. 2008 Nicolette Christopher opens with enticing notes of warm cassis, dark berries, rosemary, vanilla and baking spices in the aroma. On the palate, the wine continues to build on the aromas with plums, red cherry, cocoa, truffles, and caramel. The freshness of the acidity, density of fruit and silky texture are a refined expression of Napa Valley Cabernet Sauvignon. Three and a half tons of Cabernet Sauvignon was crushed on September 5, 2008. The wine is composed of fruit grown in two vineyards; some amazing cane pruned Cab farmed for us by Mike Nunez on the Guiliani Vineyard on Yountville Cross Road and Clone 7 farmed for us by Brian Penterman on the southern portion of the Mataya Vineyard in Calistoga. All of the fruit came from beautifully farmed, properly cropped, and balanced vines. The wine was produced in small open topped fermentors and underwent malolactic fermentation in the barrels to enhance mouthfeel. It was aged 22 months in French oak barrels, one third of which were new. Bottling occurred on August 25, 2010, only 229 cases were produced. Feeling the need to break away from the ordinary, we decided to circumnavigate France on bicycle, with detours through every major wine region in the country. 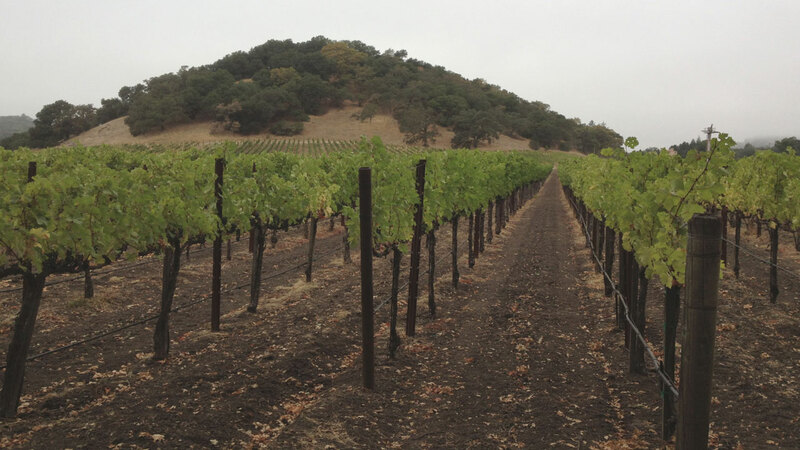 This adventure inspired us to pursue the dream of making a great Napa Cabernet.